Snooker belongs to the cue sports family; actually, snooker is one of the first pool games in the history of cue sports since started off in India about two centuries ago. Snooker was not the original pool game but a variation of games such as Black Pool or Life Pool, games brought to India by the different groups of British colonizers during that era. It was named Snooker because that is the main strategy used in this game; the verb "snook" has different meanings but it is mainly the action of lurking, the strategy to lie an ambush with the purpose of finding a gap, that lucky breach that will let us win our opponent. Since the moment that Snooker became one of the most popular games in the British Empire, this game has not stopped gaining more and more popularity, not only in the British countries but also everywhere in the world. The rules are very simple: player gets more points by shooting at special colored balls. 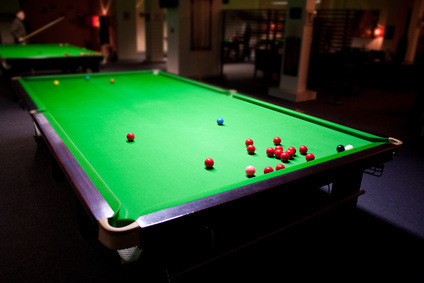 Snooker is nowadays one of the national sports in the Great Britain territories; the different countries with British heritage have developed several national championships and tournaments, creating the biggest events in the Snooker history. 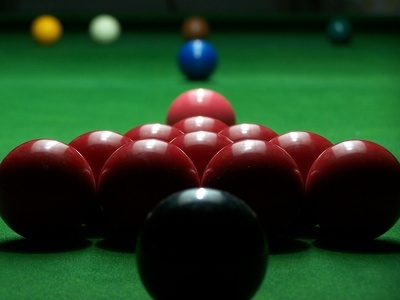 United Kingdom has made of Snooker more than a national game, bringing this cue sport to its most professional level; as a result, Snooker has become the favorite national British game along with soccer, polo and cricket. England held the first international Snooker tournament during the late 1920s. The Crucible Theatre of Sheffield held the first edition of this international competition in 1927, a location that, year after year, has been holding the event since 1977. The World Snooker Championship is a 17 days tournament celebrated during the months of April and May; the WSC is the third step in the Triple Crown competition, an International Snooker league that also holds the events The Masters and the UK Snooker Championship. There are two organizations involved in the development of this cue sport: the World Professional Billiards and Snooker Association (WPBSA), that regulates the professional events, and the International Billiards and Snooker Federation (IBSF) for amateurs. Two-ball Cannons award 2 points by striking both, the opponent's cue ball and the object ball, with just one shot. Winning Hazard awards 3 points by potting the red ball and 2 points if we pot the other cue ball. Losing Hazards, also known as In-offs, award 3 points if we strike two balls but we hit the red ball first. It grants 2 points when we hit the cue ball first and then another ball or when we "split" both, the red ball and the cue ball. Split means hitting two balls at the same time. Some other variants of Snooker and English Billiard games are Six Red, American Snooker, Brazilian Snooker, Volunteer snooker, Snooker plus, Golf billiards and its variant Around The World, Russian Pyramid or Kaisa among others. A special category was created to incorporate the Obstacle and Target Billiards games such as Bagatelle, Bar billiards, Bumper pool, Danish Pin billiards, Devil's pool, Victory billiards, Bottle pool, Skittle pool and Italian Five Pin.